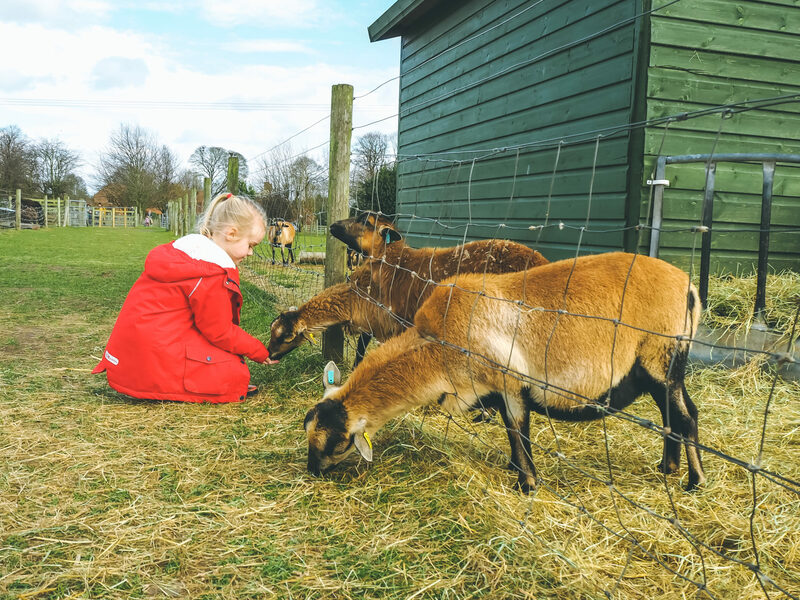 During our stay in Nottingham last month the children and I were keen to visit as many attractions as possible, and given the wonderful reviews I had read about White Post Farm, we couldn’t wait to add it to our list. 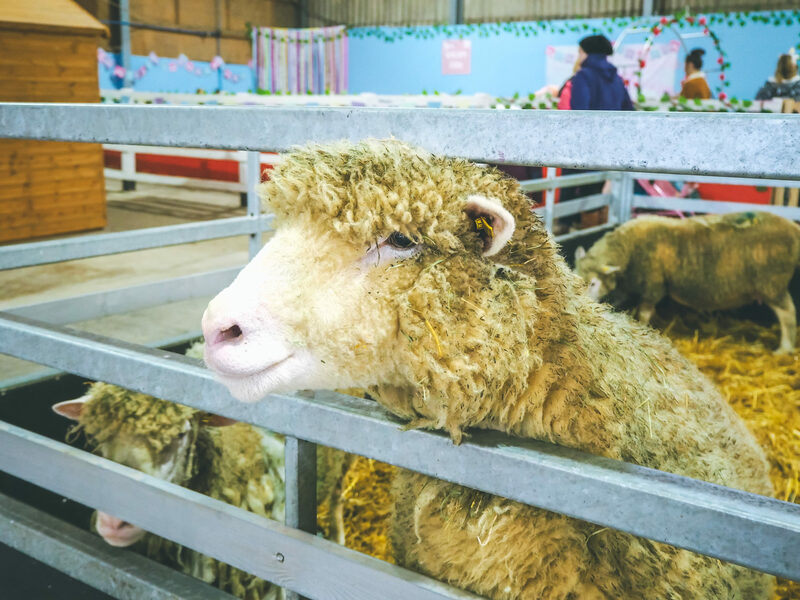 White Post Farm has so much to offer whatever the weather, with indoor play barns, meet the animals, outdoor play areas and go-karts, seasonal shows, and a whole lot more. 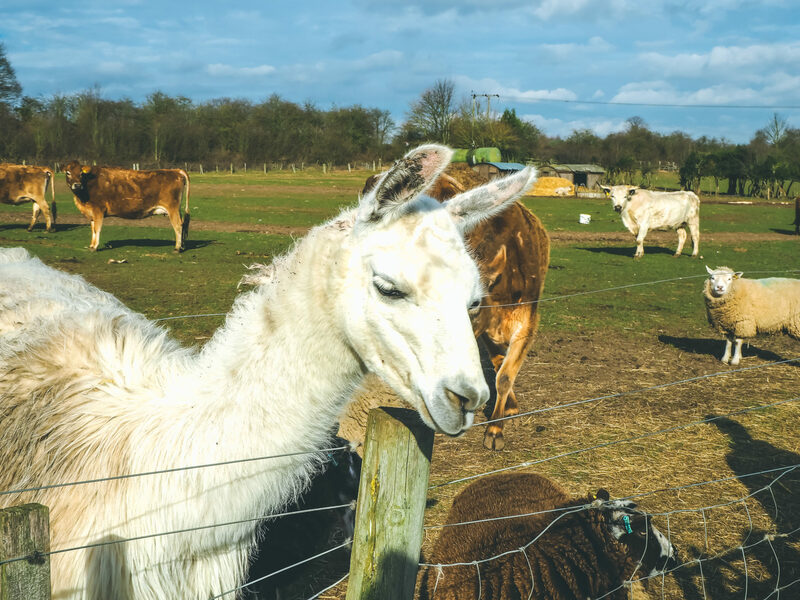 And as we arrived at the farm it became clear that our visit had coincided with a very special event – the opportunity to meet a “real life unicorn”. 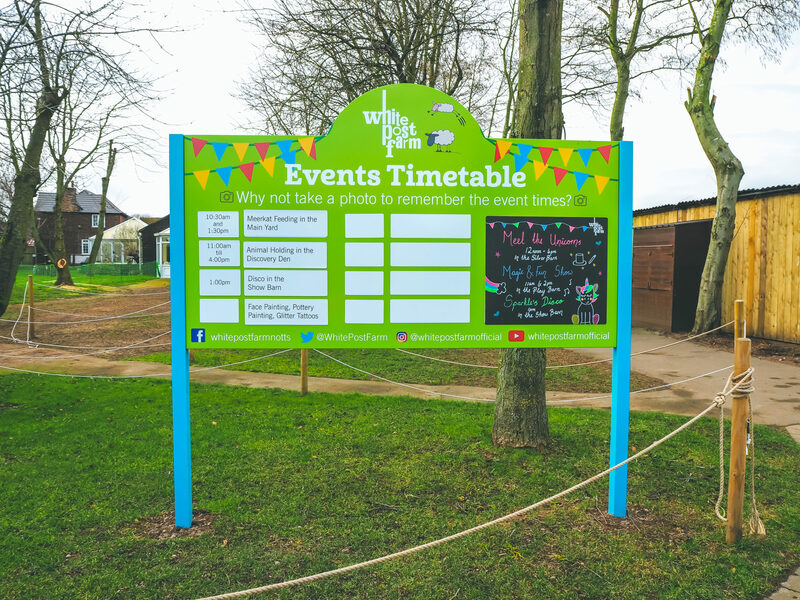 White Post Farm has a clear event timetable at the entrance so you can plan your day around any particular talks and shows, and be sure not to miss out. We made a note of what time the unicorns would be making an appearance and also the meet the animal timings as the children were desperate to get up close with some of their favourites! 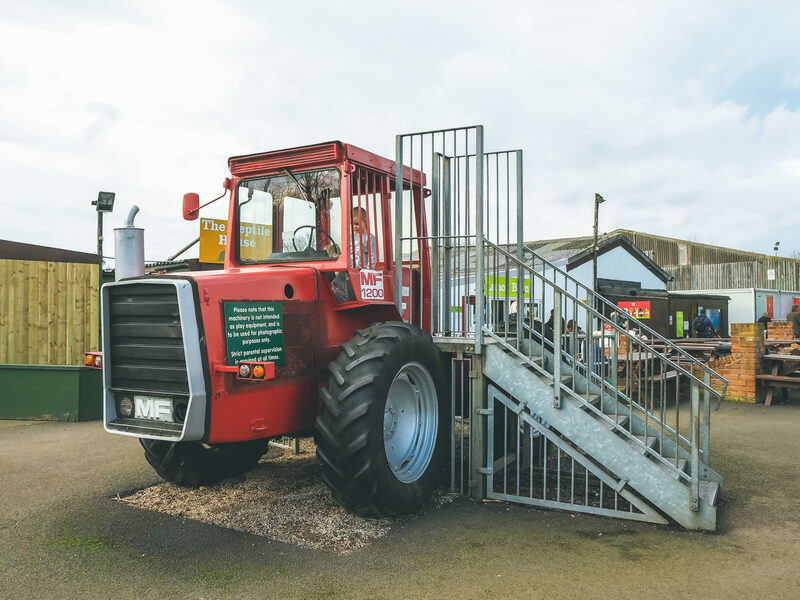 White Post Farm has something for everyone, whether that’s getting hands on with the farm vehicles, running wild in the play areas, or snuggling up to newly hatched chicks, and yet for Harry there was only one thing he wanted to do first – “drive” his very own tractor! 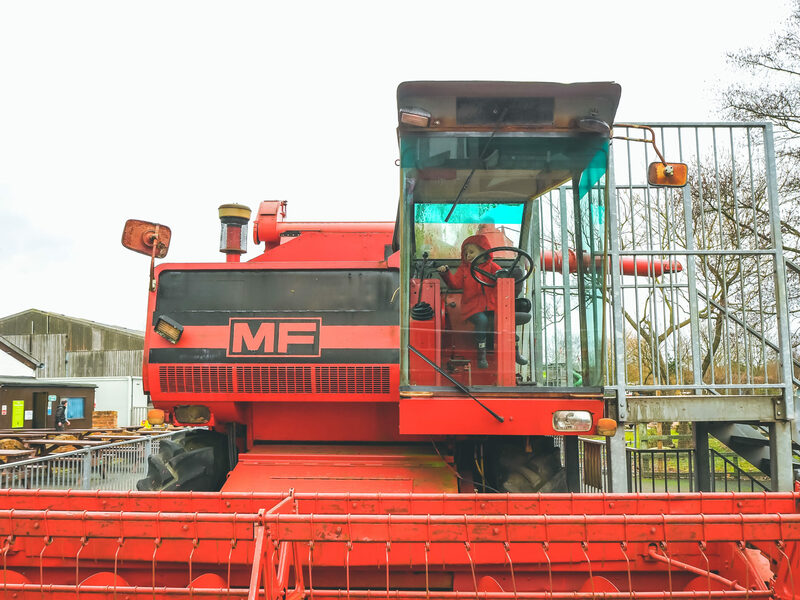 Harry is a very typical boy in that he loves anything with wheels and he was in his absolute element playing on the tractor and combine harvester in the yard. I think he would have stayed there all day had there not been so much more we needed to do during our visit! 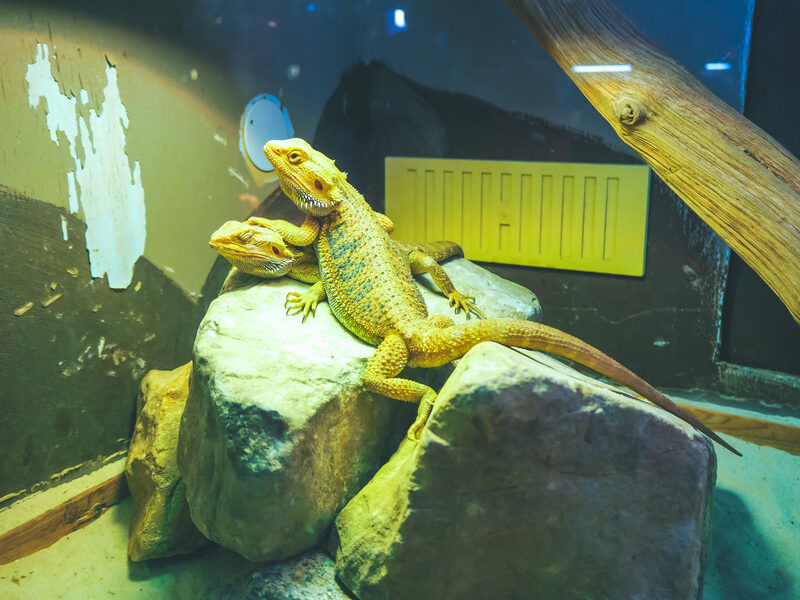 Our first stop was the reptile house with a while host of creepy crawlies and reptiles to discover. 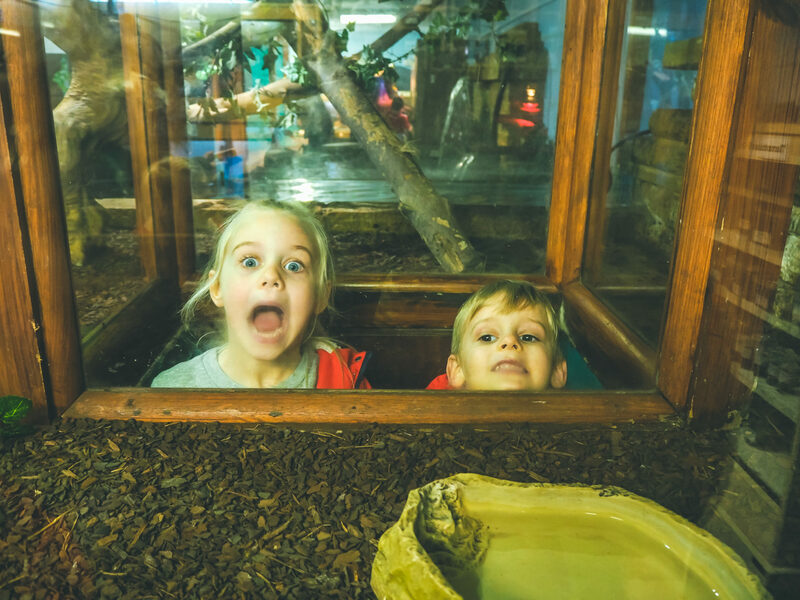 Although the park was very busy with it being school holidays, the reptile house was relatively quiet and the children loved watching the reptiles and snakes from behind the glass. We loved that in one of the enclosures you could pop up in the centre to get an even closer look and it did make me laugh that Harry and Megan kept popping up to scare anyone who walked past. 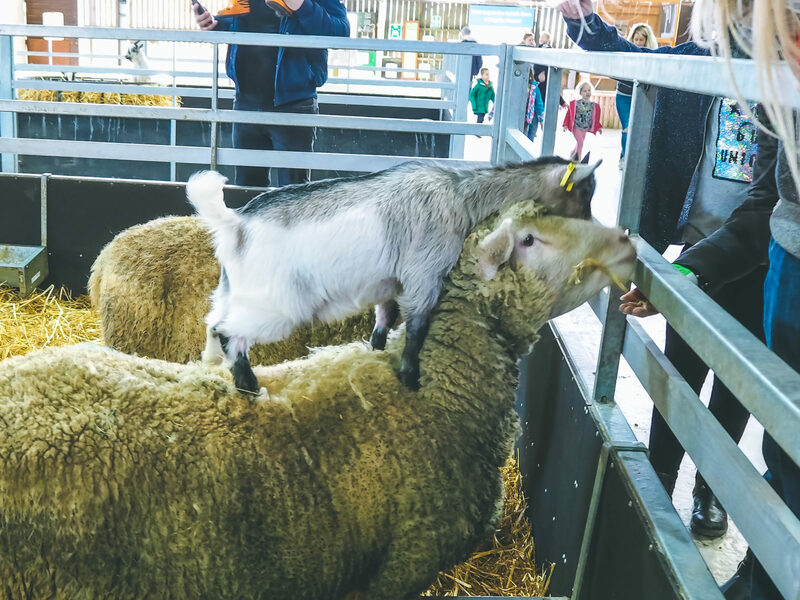 With the first of the petting sessions started we made our way into the main barn where a queue was forming to stroke some of the animals. With mice, chicks, rabbits and guinea pigs the children were able to sit down and hold one. With me being terrified of mice I was a little nervous that the staff handed Harry a mouse and then shifted their attention to the other children so the responsibility of keeping the mouse safe lay at my feet. I can’t tell you how relieved I was when they took the mouse back and replaced it with a fluffy chick! At the end of the session they announced that the next handling session would be starting with reptiles and so we stayed where we were for the chance to hold a snake, lizard and spiders. 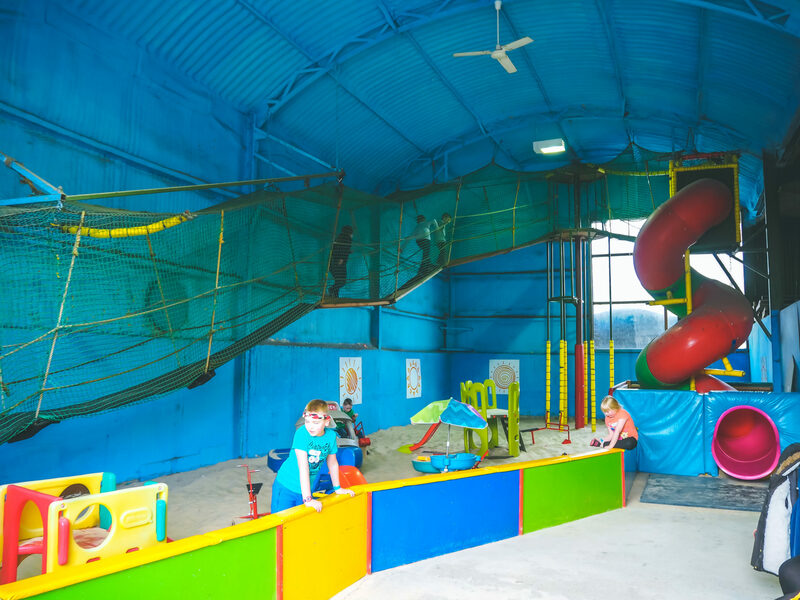 I felt the handling area was a little too small for the number of children and adults inside and perhaps using a larger area during busy periods would be beneficial. 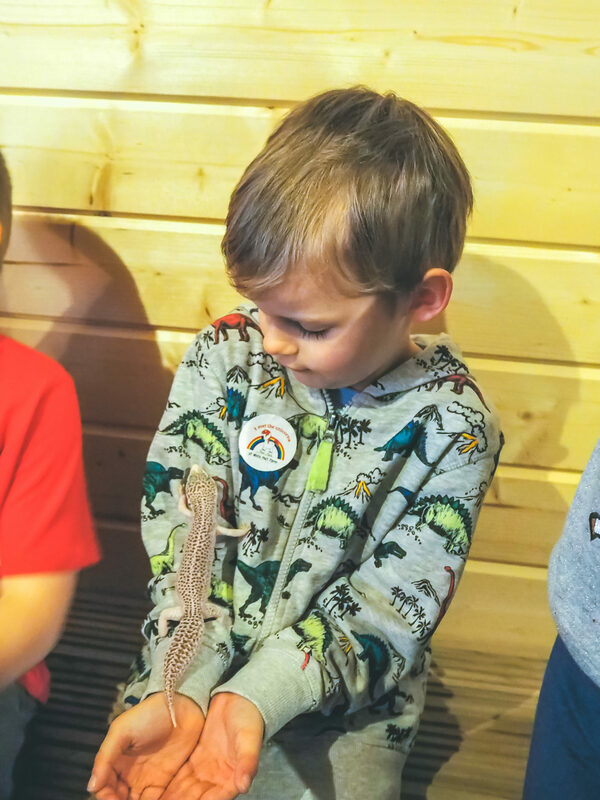 I can totally see why these sessions are so popular though, the children loved getting up close to so many different animals! Inside the same barn are a number of animals which you can feed with food bought at the entrance. 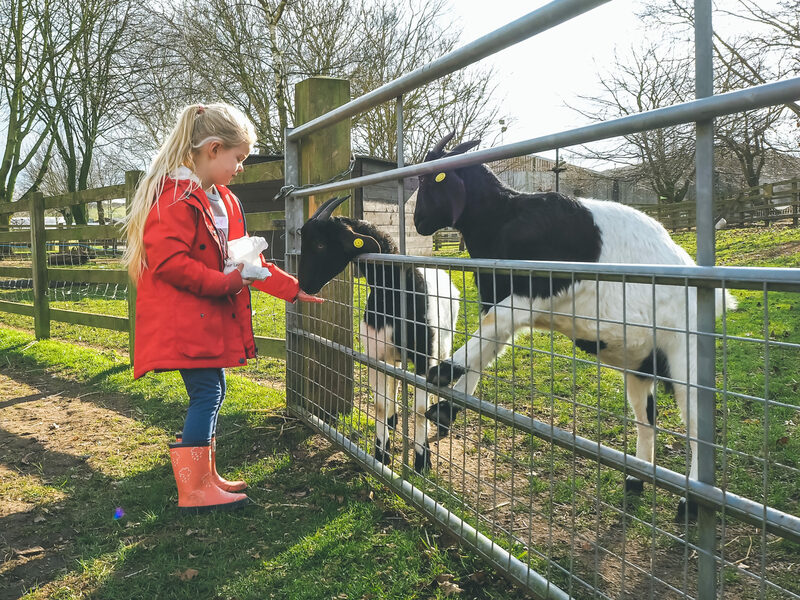 With lambs, goats, horses and donkeys, the children loved feeding them right out of their hands and I was amazed at just how tame the animals were which is understandable really given what a popular attraction White Post Farm is. The goats were a firm favourite with the children, especially the kids who were real characters. 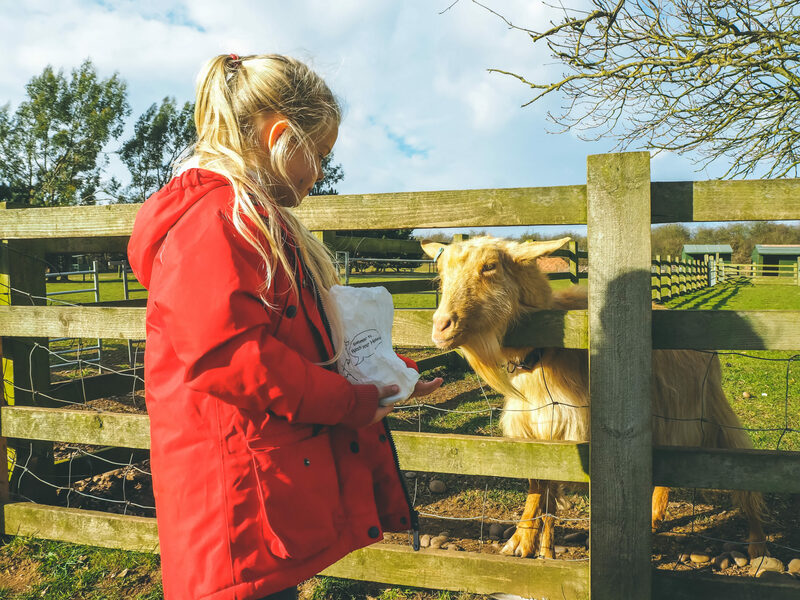 I love that the farm allows you to feed the animals as although we are big fans of the zoo, nothing beats getting a hands on experience with these animals and White Post Farm gives you just that. After feeding the animals we saw that people were beginning to queue to meet the unicorns and of course the children couldn’t wait to take their turn. 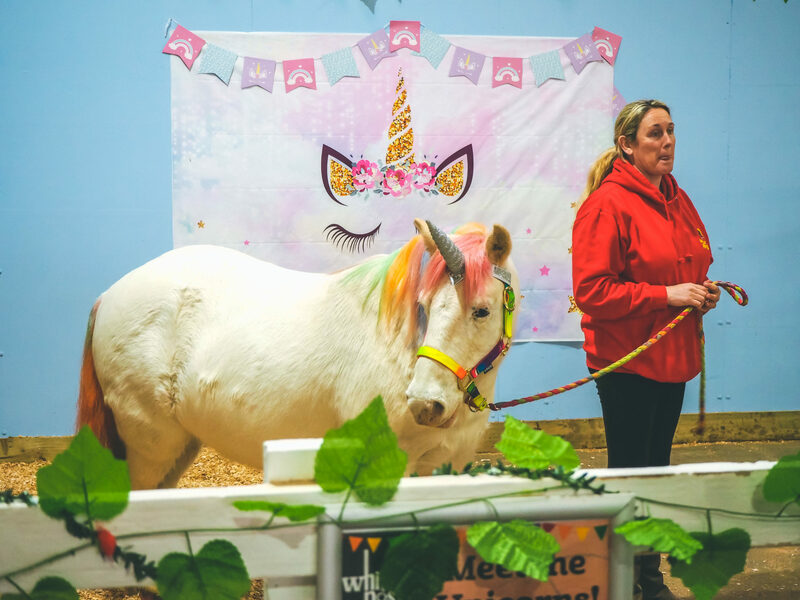 At four, five and six, seeing a “real life unicorn” was pretty much the best moment of their life so far and their little faces really were a picture! 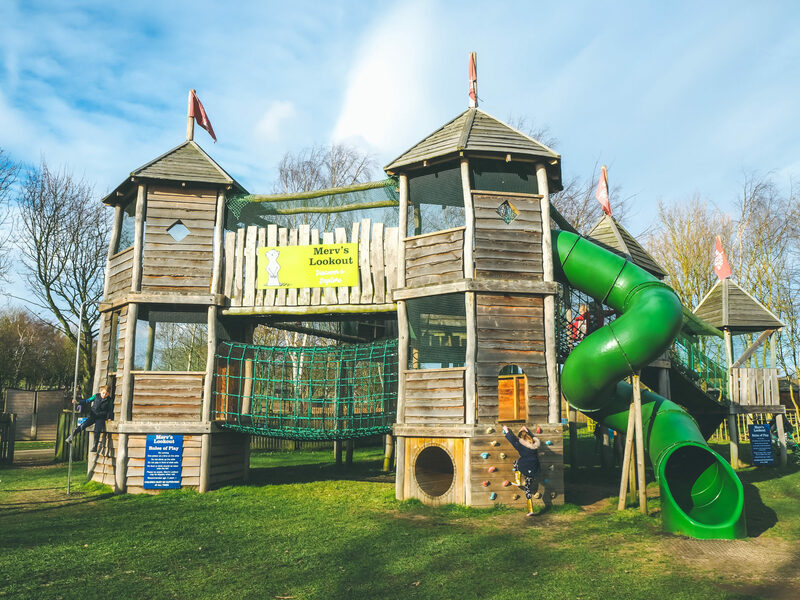 The great thing about White Post Farm is that there are several seating areas, indoor and outdoor, for those needing a sit down, a spot of lunch, or just a minute to put their feet up whilst the children run wild in one of the play areas. The kids were desperate for a go at the indoor sledging which looked like a lot of fun. 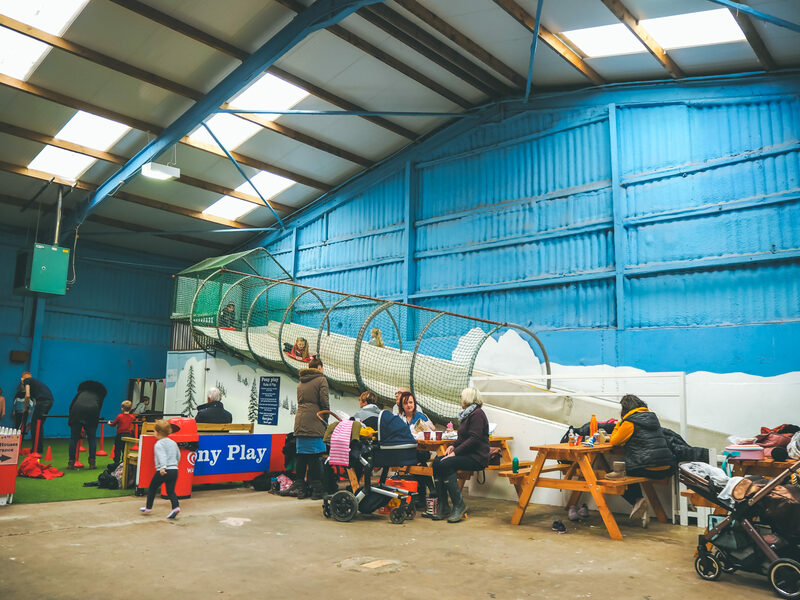 Over in another of the barns there is a fantastic indoor play area with a sand pit which the children enjoyed playing in too. I can see that on a rainy day White Post Farm would be such a fun day out, even if nothing more than for the play areas, and I am so gutted that we don’t live nearer as I think we would be making full use of this during the bad weather. 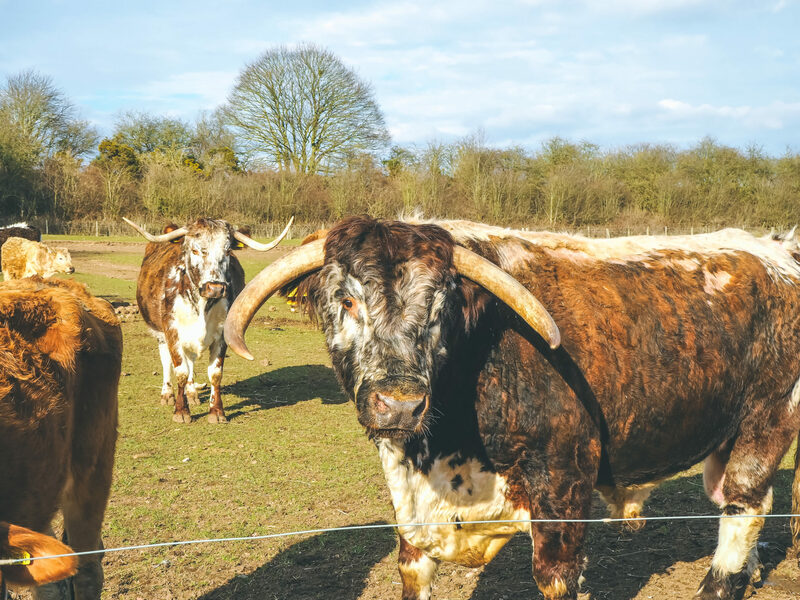 Lucky for us, we had beautiful weather during our week in Nottingham and that meant we could explore the outdoor areas, meet more of the animals, and feed as many as possible throughout the day. 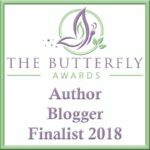 We found that the outdoor areas were far less busy than indoor and for me, with three young children, I found this much more relaxing and we could go at our own pace without feeling the need to move on quite so fast. I loved that every single one of the animals looked healthy and well cared for, something which is really important to us and for those considering visiting the attraction. 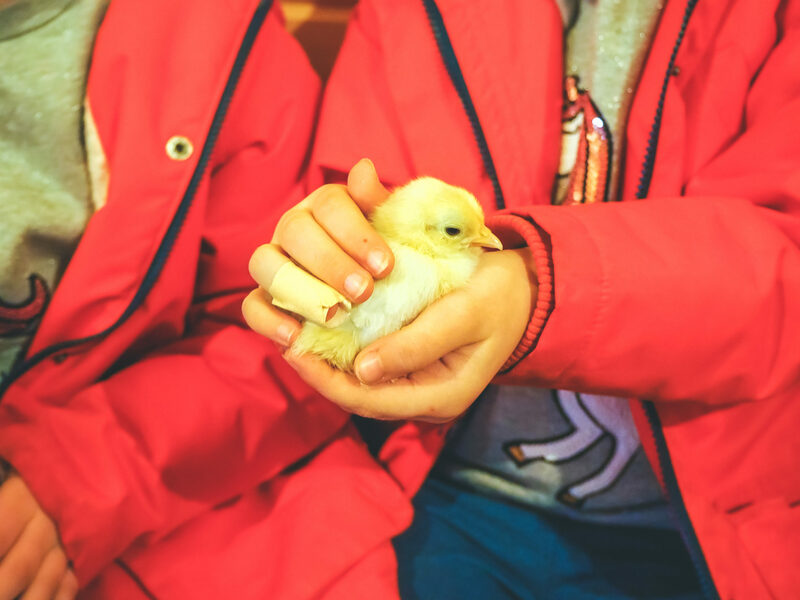 The animals clearly loved human contact and it was lovely for me to see the children’s confidence grow throughout the day in reaching out and stroking them – even Meggy who is notoriously scared of everything! After seeing all of the animals and having a long walk around the farm, the children were able to burn off the last of their energy in the outdoor play area which was a really good size and well secured which I loved. Next to the play area was a go-karting track which the children really enjoyed too! Towards the end of the day when the sun started to go in, the temperature started to drop which made for the perfect time for us to head back inside the barn to do some rock painting, a free activity with alternate items to paint at an extra cost. 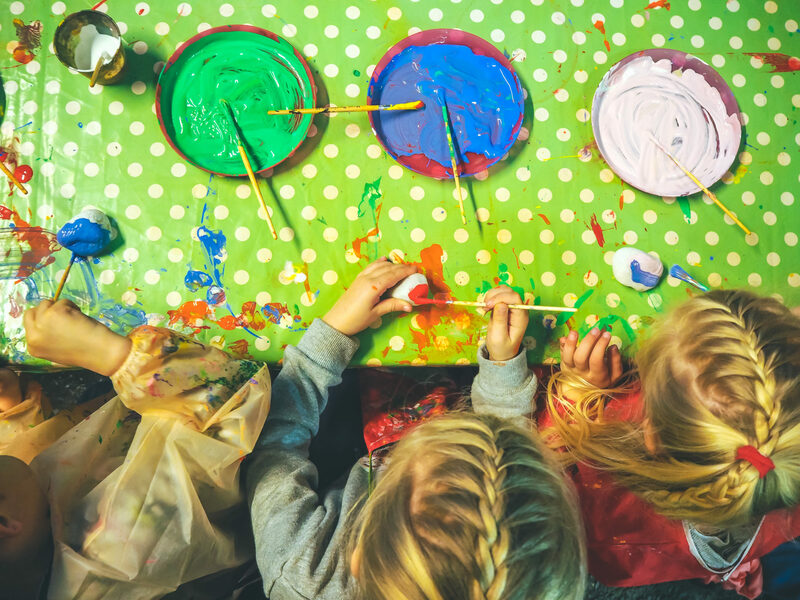 The kids love crafts of any kind and enjoyed creating their own designs which they later left to dry before picking up as we left to take home. 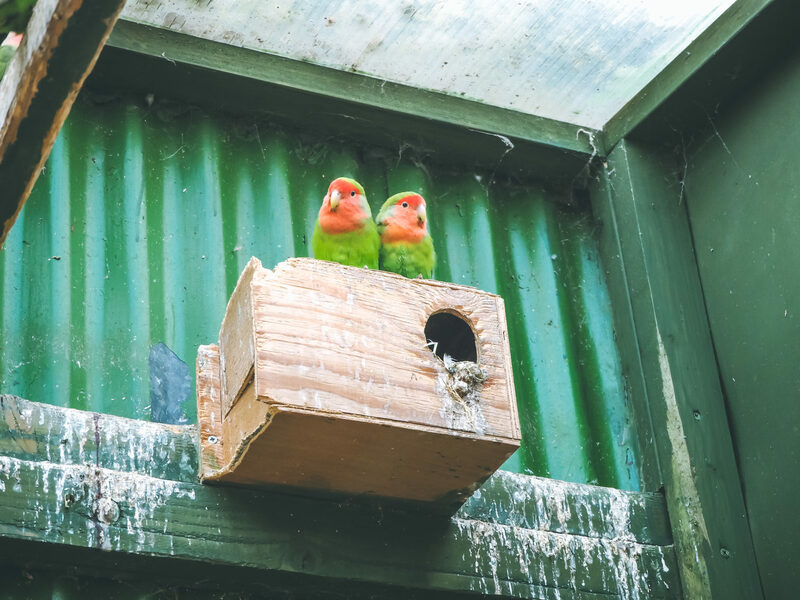 Before leaving to go home we had a wander around the walk-in aviary where you could feed the birds and if you’re lucky (or unlucky if you’re not a fan! ), have them land on you for a closer look. The children were desperate to have them land on their hands but visiting late in the day I think they had spent the whole day eating bird seed and were no longer hungry! There was just time to “milk” one of the cows before we made our way back through the gift shop and to the car, and I think all four of us were sad that our day had come to an end. 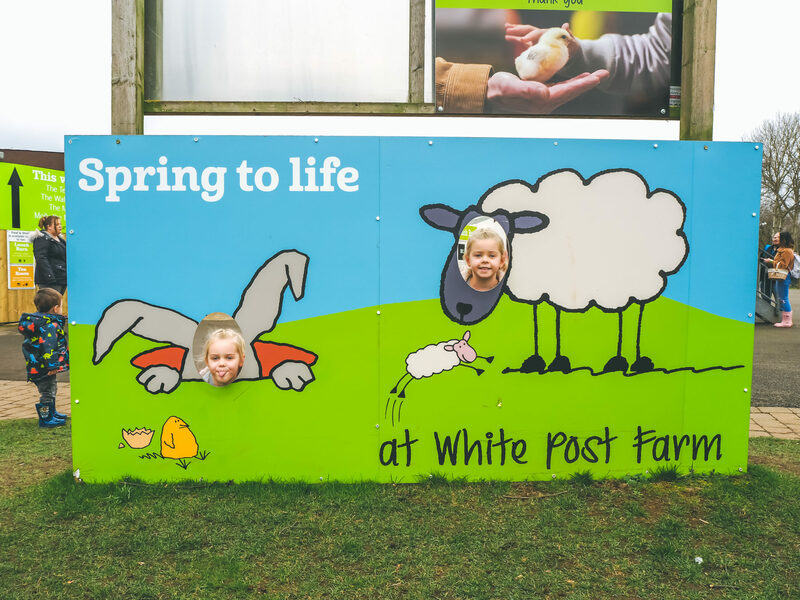 We absolutely loved White Post Farm and from the adverts we saw around the farm there are some fantastic events coming up this Spring and Summer. I am always so happy to visit so many amazing attractions during our holidays throughout the UK, but so very disappointed that they are so far from home! 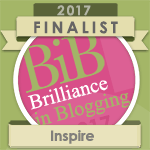 You can find out more about White Post Farm, including any special event in the pipeline on their website here. 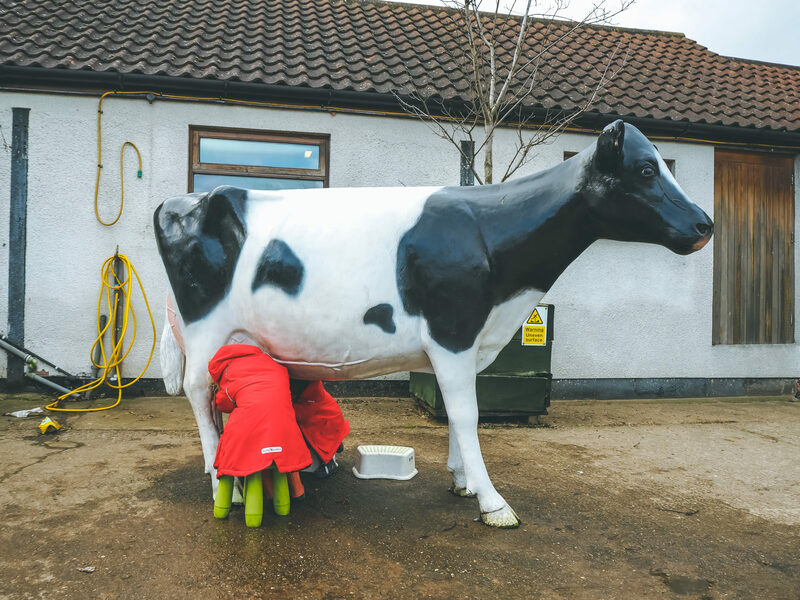 It’s great to see kids learning about agriculture and animals during the holidays. It looks like they had fun. What was the best part? What a fun adventure! This reminds me of some of the field trips I did with my kids and other families in our home schooling group. One I recalled after seeing some of the pictures here was going to a llama farm, where we learned about their behavior, lifestyle, and of course, got a chance to feed them. We also were able to try carding wool and doing craft projects with yarn made from the llama wool. I love attractions like this, so good for family days out. Always loads to do and see, and you can easily spend a whole day. Brilliant that there was a meet a unicorn, how very exciting. This looks incredible. 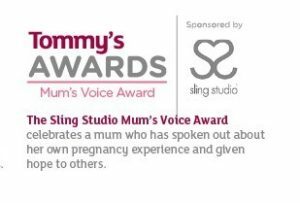 We’re quite new to Nottingham so I’m going to check this out now. Did you visit any other child-friendly places while you were here?